Take advantage of recreation opportunities such as a 24-hour fitness center, or other amenities including complimentary wireless Internet access and concierge services. Additional features at this hotel include wedding services and a fireplace in the lobby. 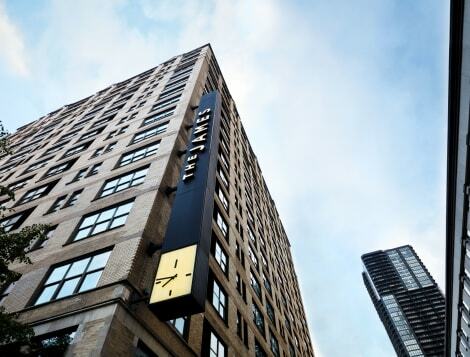 Found in the trendy downtown Chicago area just off Michigan Avenue, The James is a gorgeous city retreat with the Chicago’s most fashionable shops, bars and restaurants close by. Defined by elegant décor and sumptuous design touches, this hotel is luxurious and cosy. There’s a gym, an award-winning steakhouse, and a state-of-the-art business centre. Rooms and suites are sleek and contemporary and perfect for unwinding in after a long day with HD Smart TVs and free wi-fi.